The latest and greatest in Congolese music is an album inspired by a novel. 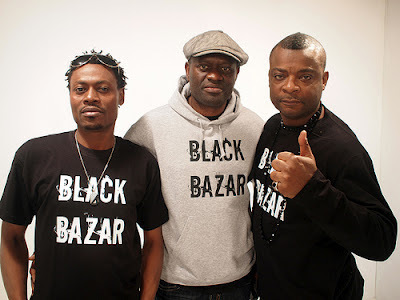 Black Bazar, a story by Alain Mabanckou (center) about Africans in France, has been turned into a fabulous recording by singers Modogo Abarambwa (left) and Sam Tshintu (right) with an all-star cast of musicians. 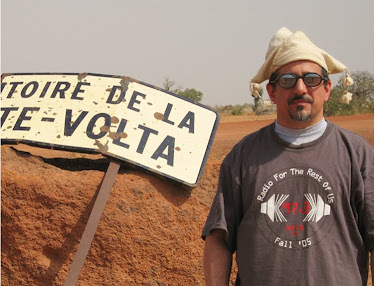 You'll hear a track this week on Global A Go-Go, along with more contemporary Congolese sounds. Also this week: new chicha by Chicha Libre and Sensacion Shipibo; 1970's Turkish psychedelic rock; and the sound of Africa's Islamic funk belt.